Izmir University of Economics (IUE), who is getting ready to train the future Aerospace Engineers, developed exercise harness for astronauts. 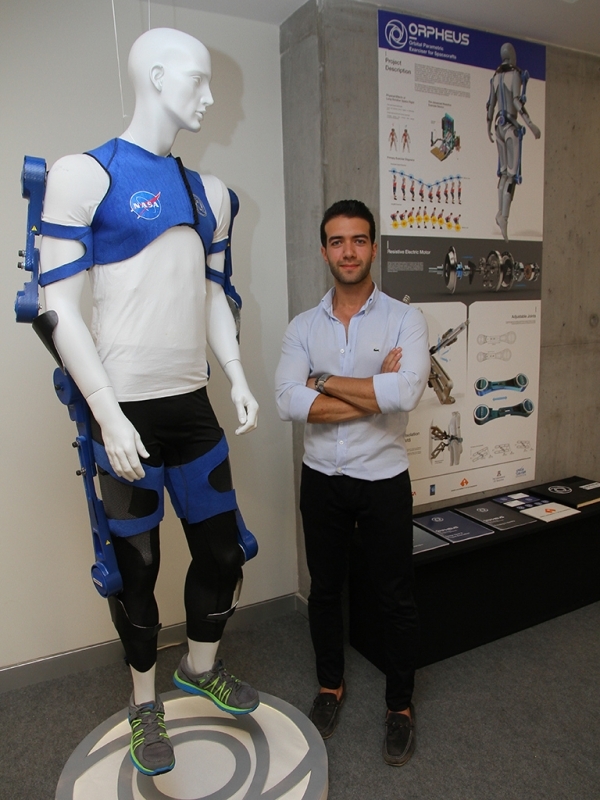 Mehmet Ergül, Student at IUE Faculty of Fine Arts and Design, Department of Industrial Design, designed an exercise harness called, “Orpheus”, as a result of consultations with NASA Johnson Space Center and the guidance of astronaut coaches. There is no concept of direction in microgravity environment, and therefore the exercise device should also adapt itself to the body, reported Ergül. “The Orpheus Exerciser is basically an exoskeleton which we wear to our body. In this way, we achieve an excellent user-product consistency and harmony. The product’s design as an exoskeleton fits the body perfectly and satisfies the ergonomic needs, said Ergül.